Fox News investigation is "winding down"
Roger Ailes is finished at Fox News -- and the network's internal review of allegations he sexually harassed employees is almost finished as well. The investigation by the law firm Paul, Weiss is ongoing, but is "winding down," a source told CNNMoney this week. While there has been internal speculation that the review might expand to examine the conduct of other executives, that has not happened, several sources confirmed. 21st Century Fox executive chairman Rupert Murdoch, now the acting CEO of Fox News, is focused on stabilizing the channel. He has been scheduling meetings with Fox's best-known hosts, like Bill O'Reilly, to reassure them. And he has been running the network's morning editorial meeting. Ailes, the founding CEO and chairman of Fox News, resigned under pressure last Thursday. He has not spoken publicly since then, and he is limited in what he can say privately. A Fox News correspondent who used to speak with Ailes regularly said Ailes has been told not to communicate with any staffers, and two executives confirmed this. As part of the exit deal, Ailes and 21st Century Fox agreed not to disparage each other. That means, among other things, that the company cannot officially share the results of the Paul, Weiss investigation. But there was never any intention of releasing the report anyway, a corporate source said. The review was announced on July 6, the day that ex-anchor Gretchen Carlson sued Ailes, alleging sexual harassment and retaliation. The lawsuit also asserted that "Fox & Friends" co-host Steve Doocy "engaged in a pattern of severe and pervasive sexual harassment of Carlson," but Doocy was not named as a defendant. 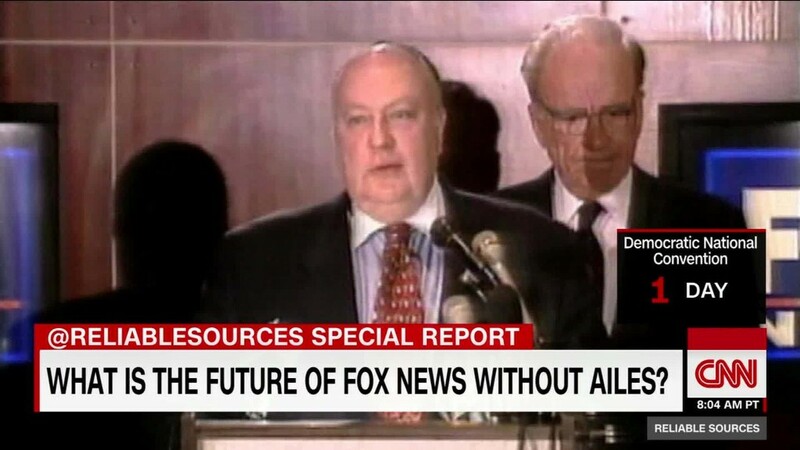 21st Century Fox said that day that "we have full confidence in Mr. Ailes and Mr. Doocy." But Paul, Weiss was retained to investigate, and once the Murdochs — father Rupert and sons Lachlan and James — were informed of the initial findings, they decided Ailes had to go. The law firm continued to conduct interviews with accusers and follow up on their accounts even as Ailes stepped down last week, sources said. And the firm continues to be available to 21st Century Fox this week. That's partly why there are swirling questions inside Fox News about a potential "housecleaning" of Ailes' longtime lieutenants. "People are scared," a longtime Fox News executive said. But the Paul, Weiss probe has not implicated other executives, according to people briefed on the findings. A 21st Century Fox spokeswoman declined to comment on whether the law firm specifically looked into whether others were aware of Ailes' behavior. "Everyone who I know who has been interviewed has been asked solely about Ailes," the longtime executive said, "which I find odd because I haven't heard anyone address Doocy's status and he was part of the original complaint." Doocy continues to co-host "Fox & Friends." The attorney responsible for Doocy's employment contracts declined to comment. Recent news reports have also raised broader questions about Fox's workplace, most recently on Wednesday, when Forbes described a "sexually charged culture fostered by Ailes." Multiple stories have alleged harassing and intimidating behavior by other supervisors. The New York Times said over the weekend that it had spoken with "about a dozen women who said they had experienced some form of sexual harassment or intimidation at Fox News or the Fox Business Network," and only two cited Ailes as the instigator. The others cited other managers, some of whom have since left the company. Some readers of the story inside Fox said they thought it was overwrought, dredging up cases from many years ago, but others generally agreed with the portrayal of a toxic workplace culture for women. "If the allegations of a culture in which women who complained of harassment were effectively silenced and feared reprisals are true, that goes beyond a workplace culture to something even more disturbing and serious," said former Fox News contributor Jane Hall, a journalism professor at American University. Eric Boehlert of Media Matters, a liberal and generally anti-Fox media monitoring organization, wrote Tuesday that he gives the Murdochs credit for hiring Paul, Weiss in the first place. "The looming question now is, how do the Murdochs deal with the alleged pattern of abuse?" he wrote. "Do they hope the story fades away with Ailes' departure, or do they actually try to make Fox News a place where women feel comfortable working?" 21st Century Fox told the Times that "there's absolutely no room anywhere at our company for behavior that disrespects women or contributes to an uncomfortable work environment," and noted that staffers can report harassment anonymously. As for Ailes, the law firm representing him said the stories about him have been full of inaccuracies. "Roger is proud of his long record of supporting and promoting women in lead roles while he was at Fox News," his attorney Susan Estrich said in a statement. "Roger is committed to defending himself against the campaign that is being waged to destroy his reputation including the vigorous refutation of demonstrably false and incredible charges." Estrich added, "It is virtually impossible to respond to anonymous allegations, much less ones that are fourteen or even thirty years old, especially charges never made at the time of the alleged occurrence. In the law, this impossibility is why we have statutes of limitation, that are at most three years."